Euro Crime Website Updates - early! I'm going to be away from my pc for a couple of days so I'm posting this week's reviews and updates to the Euro Crime website a bit early. The 'Reviews' page has been updated with reviews of 'Death in the Truffle Wood' by Pierre Magnan and 'Footfall' by Christine Poulson. The 'Authors' (476 sites) page has been updated. In 'Books' I've updated the bibliographies (ie added new titles) for: Conrad Allen, Frank Barnard, Robert Barnard, Graham Hurley, Adrian Magson, James McGee, Barbara Nadel and Linda Regan. Vianne, played in the film adaptation by Juliette Binoche, and her daughter Anuok, a character based on Harris's daughter Anouchka, materialise in the Montmartre district of Paris for the author's sequel, The Lollipop Shoes, which the Barnsley writer promises will be a darker novel than the first and is set four years after the conclusion of Chocolat. The new novel reveals what became evident as the first novel wore on: that Vianne would never be able to settle in the village of Lansquenet-sous-Tannes, in Gascony, where she arrived with six-year-old Anuok to set up her chocolaterie, La Céleste Praline. "This time they have settled in Paris instead," Harris said. "Mother and daughter have changed but not always in the best ways." 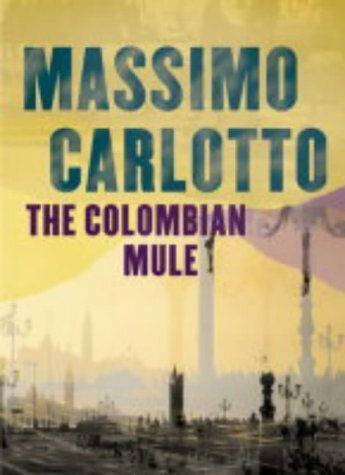 Orion published two books in Carlotto's 'Alligator' series before Europa Editions took over, releasing two non-series books in 2006. "Massimo Carlotto was born in Padua in 1956. During his teens he became a political activist in the famous leftist group Lotta Continua [Constant Struggle]. When he was 20 years old he found the maimed body of a murdered woman, Margherita Mugello, and ran to the nearest police station to report the crime. He was charged with murder himself, and put into prison. He became the defendant in one of the most famous judicial cases in Italian history, the so-called "Carlotto Case". Many observers think that the police and inquiring magistrates were politically biased, as the 1970's were tough times in the Belpaese, with demostrations repressed and dozens of political activists shot down by police officers. Carlotto always claimed his complete innocence. After he was sentenced guily, he fled the country and settled in Paris, France, under a false name. He pretended he was from Chile. With the Interpol hot on his heels, he escaped to Mexico City, where he mingled in the local activist community. After several years of exile he chose to return to Italy and give himself up to the authorities. While he was in prison, a vast grassroots movement petitioned for presidential mercy. 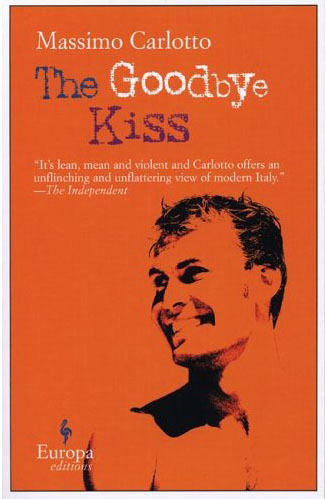 He was pardoned and released in 1993, and began to write a memoir called Il fuggiasco [The Fugitive]." Europa Editions list 'The Fugitive' as being released in April 2006 but amazon.com doesn't list it. 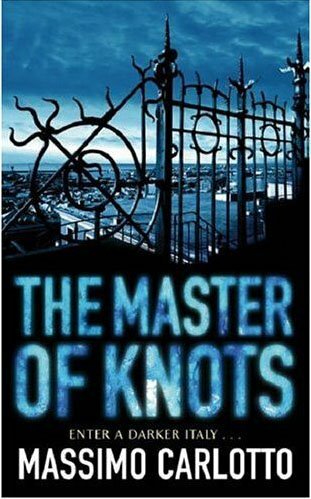 I'm currently reading this, review to follow on Euro Crime shortly. Reviewed on the Euro Crime website here. By recycling used books not only are we saving existing trees, we're actually planting new ones. How? 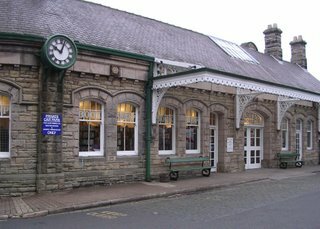 GreenMetropolis.com donates 5p for every book sold to the 'Tree For All' campaign run by the Woodland Trust. Basically you can buy any (secondhand) book in stock for £3.75 (and P & P is free on paperbacks). An alternative to amazon marketplace with its steep P & P but I'm not sure whether you get the same protection. The winner will be announced on the 9th October. Christmas: a time of peace and goodwill. Oh no it isn’t, thinks Detective Inspector Paul Banham. Was the suspicious death at the pantomime an accident - or murder? Banham finds the theatrical glamour distinctly tarnished by rivalries, grudges and illicit liaisons; and then there’s a second death. But the panto is sold out and the show must go on. A sizzling crime-writing debut from a professional actress who entered Crème de la Crime’s worldwide talent hunt incognito. Her husband Brian Murphy makes a tiny guest appearance! The Thirteenth Tale - is it crime/mystery fiction? "AN unknown British author has topped America’s fiction bestseller lists after news of her debut novel spread over the internet. 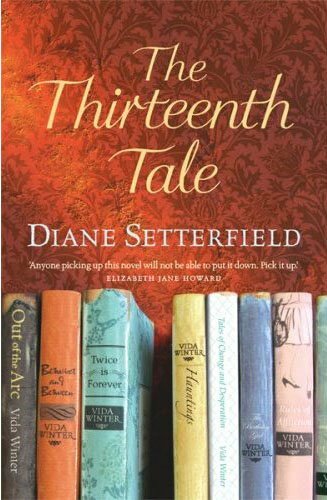 Diane Setterfield, 42, a former university lecturer, took six years to write The Thirteenth Tale after she gave up her career teaching French. The mystery, published just three weeks ago in America, has beaten established US authors such as James Patterson and Anna Quindlen as well as the latest Frederick Forsyth to top the bestseller lists of The New York Times, The Wall Street Journal and Publishers Weekly." "Vida Winter, a bestselling yet reclusive novelist, has created many outlandish life histories for herself, all of them invention. Now old and ailing, at last she wants to tell the truth about her extraordinary life. Her letter to biographer Margaret Lea - a woman with secrets of her own - is a summons. Vida's tale is one of gothic strangeness featuring the Angelfield family: the beautiful and wilful Isabelle and the feral twins Adeline and Emmeline. Margaret succumbs to the power of Vida's storytelling, but as a biographer she deals in fact not fiction and she doesn't trust Vida's account. As she begins her researches, two parallel stories unfold. Join Margaret as she begins her journey to the truth - hers, as well as Vida's." The Sunday Times calls it a mystery and the book description on amazon.co.uk, calls it "A compelling emotional mystery in the timeless vein of Daphne du Maurier's REBECCA, about family secrets and the magic of books and storytelling" ... but based on the above, oh gentle reader, do you? I've put my name on the library waiting list for the one copy. Perhaps the media publicity will allow more copies to be ordered. The Euro Crime Website can now be found at http://www.eurocrime.co.uk/. An automatic redirection is in place from the old weatherwax address. If you have kindly linked to my site please could you update to the new address. 'Involuntary Witness' by Gianrico Carofiglio - the first in the series featuring Bari lawyer Guido Guerriri, reviewed by Karen Chisholm. 'See Delphi and Die' by Lindsey Davis - the latest (17th) in the Falco series, reviewed by Pat Austin. This week I've added the bibliography for Russian author, Fridrikh Neznansky and updated the bibliographies (ie added new titles) for Alicia Gimenez-Bartlett and Carlo Lucarelli. I've updated the 'news' page over the weekend. "It was being posited last night that Detective Chief Superintendent Jack Frost might at the very least become even frostier with his superiors in future series after creator Rodney Wingfield's nephew was wrongly arrested on suspicion shoplifting. Wingfield has made a formal complaint to Essex police about the way his nephew was treated and in a letter to his agent he states: "My current pro-police Frost book will be my last."" The last 'Frost' book was 'Winter Frost' in 1999. Going slightly off topic here even though Joanne Harris's last book - 'Gentleman and Players' - was a crime novel and naturally (!) I have a copy in the tbr. "TRANSWORLD HAS SIGNED two more novels by Joanne Harris from Serafina Clarke. The first, The Lollipop Shoes, will be published by Doubleday in May 2007 and sees the reappearance of Vianne Rocher from the bestselling Chocolat. Larry Finlay, Transworld MD, commented: "Joanne Harris is one of the most precious jewels in the Transworld crown. Her return to France, specifically Montmartre, will delight her legion of existing fans but, as we have come to expect from this extraordinary novelist, there is an extra dimension to intrigue and satisfy new readers."" From Publishers Lunch: "Former Harvill publisher Christopher MacLehose is joining the growing team at Quercus in the UK. He's forming the McLehose Press imprint, aiming to publish six to ten books a year, focused on literature in translation, beginning in fall 2007." Update: I stumbled over this (undated) article by Christopher MacLehose on crime in translation. I hope to continue with 'where are they now' entries for the Orion New Blood authors next week. Next up, I think is Massimo Carlotto. plus a book for my Dad. * a new Russian author for the Euro Crime database! Blogger wasn't letting me get into my comments earlier so I hope to do some replies tomorrow. Full BBC press release here. Alec Newman, Alastair Mackenzie and Nina Sosanya head up the cast in the one-off crime drama The Acid Test, written by James Mavor (Split Second) and based on a short story by acclaimed Scots crime author Ian Rankin. Set in the heart of Edinburgh and featuring the underbelly of the capital city, The Acid Test is a psychological thriller. It tells the story of hard-boiled detective Jim Buchan - played by Alec Newman (Angel, Murder Rooms, Enterprise) - whose life starts to unravel as he investigates a 100-year-old murder case in the Scottish capital. Alastair Mackenzie (Monarch of the Glen, The Last Great Wilderness) plays Jack Harvey, Buchan's former friend and best-selling crime novelist with something to prove. Buchan's investigation takes him into the dark underworld of Edinburgh's literary past and leads him to question the very nature of his own existence. The shattering truth will bring the lives of these two very different men together and blow them apart. Filming for The Acid Test begins in September 2006 in locations around Edinburgh. The 75-minute, one-off drama is scheduled for transmission on BBC FOUR and BBC Scotland in Winter 2006/7. Mark Strong, last seen in The Long Firm, puts in another great performance as Edinburgh CID man Frank Agnew who has to investigate the murder he and his colleague recently committed and tried to make look like suicide. The second and concluding part is on Thurs 21st but if you missed the first then TV Scoop can provide an excellent summary. 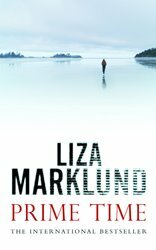 I've just discovered Crime Scraps - which launched this month - the summary is - "A few comments and thoughts about crime books set on the mainland of Europe, with titbits about real eurocrime. We hear constantly about crime in the USA that many people imagine Europe is a crime free zone." The latest post is about 'Holy Smoke' by Tonino Benacquista. I've also brought over to the blog (from the links page of the Euro Crime website), International Noir Fiction which ..." includes reviews and ideas on crime novels (most from outside the U.S.)". The latest book discussed is 'Voices' by Arnaldur Indridason. The 'Reviews' page has been updated with reviews of 'Sun and Shadow' by Ake Edwardson and 'Punishment' by Anne Holt. In 'Books', I've added bibliographies for the following: Elbur Ford and Jan Guillou and I've updated the bibliographies for: Michael David Anthony and Hakan Nesser. The 'News' page has been updated with links to this weekend's reviews and articles. 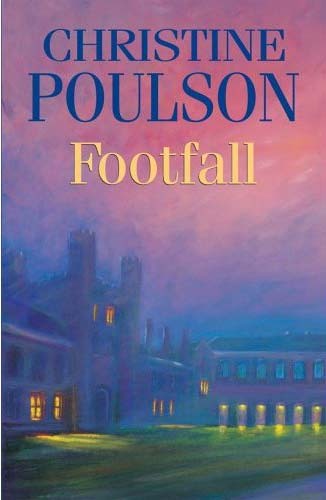 I'm reading 'Footfall' the third in the Cassandra James, Cambridge academic, series by Christine Poulson, which came out earlier this year. I met Christine at LCC this year and she kindly asked Robert Hale to send me a review copy of her new book. 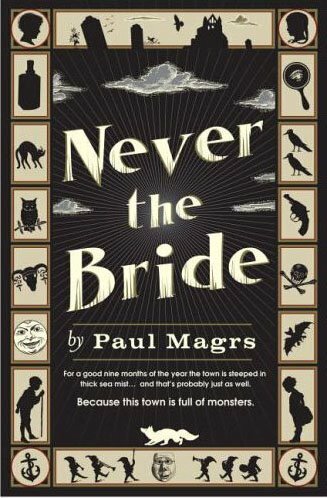 I'm from the area the books are set it (the Fens) and I find it well portrayed. The Coffin Trail, The Cipher Garden and in February, The Arsenic Labyrinth. David Hewson's giving a talk tonight at 8pm in Emersons Green Library, Bristol. Paul Johnston has a new book out next summer - The Death List. Well, the launch of the new version hasn't gone too badly. One problem I've got is with the web forwarding system I've been using. The frames have been removed from the website but with the web hosting sevrice I've been using you couldn't tell! Every page was called www.weatherwax.co.uk. To get round this I've changed the setting, but this means that when you type in www.weatherwax.co.uk it now displays the actual underlying address of www.weatherwax.eclipse.co.uk/crime/ but at least when you click on the other pages the correct path is displayed eg www.weatherwax.eclipse.co.uk/crime/news.html. Not quite what I had in mind however the forthcoming v2.1 will address this :-). I've splashed out on the eurocrime.co.uk domain!! Once a few minor changes have been made I'll be launching that and putting up a redirection from weatherwax.co.uk. I've just uploaded the new version of Euro Crime. The content is the same but the frames have been removed. I hope it's easier to navigate and clearer to read. Comments appreciated on any issues with it. I've noticed a couple of small things that need changing but unfortunately the master webmaster is away for a few days so they'll have to wait. I've added Carla McKay's August round-up to the 'reviews' section, plus a link to my review of 'Birds of a Feather' by Jacqueline Winspear, reviewed for overmydeadbody.com. The 'future releases' pages have been updated. Details of updates to bibliographies are in the 'site progress' section. 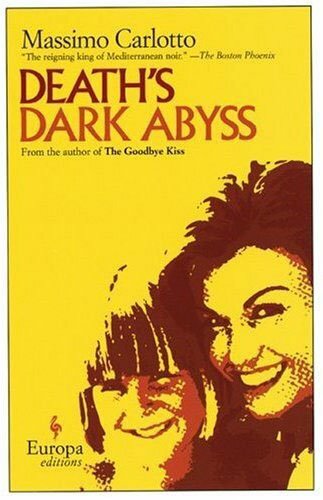 "COLIN FORBES, The author of 33 novels, died last week of heart failure aged 83, leaving a legacy that includes a string of bestsellers, many of them featuring his intrepid team of Tweed and Paula Grey, and one unpublished novel, The Savage Gorge. 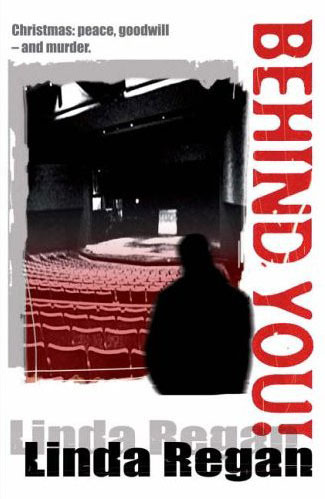 His long-time editor, Suzanne Baboneau, whom he followed from Macmillan to Simon & Schuster, had, only the previous day, “crossed the last ‘t’ and dotted the final ‘i’ to put the script into production. Our November publication of The Savage Gorge will be a fitting tribute to his long career as a major thriller writer.”"
A few years ago, in the days of the 'Dead on Deansgate' convention, Waterstone's had its own website which also included details of events in stores. Then rather oddly the website was taken over or run by amazon.co.uk and the content was minimal. Turning full circle, Waterstone's has its own website back again and looks much more professional than before. I've just added links to the latest reviews and interviews in the UK press, from the last week, to the 'news' section of the Euro Crime website. Unlike Maxine, I didn't get much reading done on holiday so I didn't make any impression on my tbr stack. Upon returning home my prize from a competition on the BookBitch site had arrived - ' Bloody Mary' and 'Rusty Nail' by J A Konrath. And on checking my email I found I'd also won a tea caddy from Jacqueline Winspear's last competition and a copies of 'Roseanna' and 'The Man Who Went Up in Smoke' by Maj Sjowall and Per Wahloo from the HarperCollins Reading Groups website.